It isn't nearly as compelling as Freetown... but it is a solid effort. Unfortunately, for all its skillfully executed parts, Woodlawn's whole lacks focus. A film taken with the singular American delusion that Jesus loves football... though it also throws in a new delusion: Jesus hates the U.S. Constitution. The unintentional message here? What integrated Alabama wasn't Christian brotherhood, but Alabama's REAL state religion -- football. 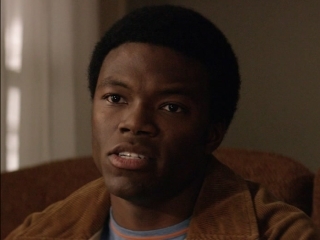 'Woodlawn' hits spiritual pay dirt. Heartwarming fact-based drama about faith, race, football. It's hard to buy that this brand of Christianity is fighting for the rights of the minority while so clearly throwing their own weight around as the majority religion. "Remember the Titans" + "Facing the Giants" + "Rudy" = "Woodlawn"! Sports and religion are a potent combination, one that siblings Jon and Andrew Erwin (October Baby, Mom's Night Out) exploit to canny effect in their new film based on the real-life Woodlawn High School football team. Until the balance tips rather too blatantly toward the latter during the final minutes, the overall narrative mix of history lesson, gridiron action and spiritual uplift is effectively and satisfyingly sustained. Sure, it's an evangelical "Remember the Titans," but at least the Erwin brothers have made an effort, parochially speaking, to go outside the lines. The Erwins' latest film leans heavily on a genre formula, but it is better than most "Christian" films. An inspiring film that shows the power of faith and forgiveness on and off the field.